Opinion polls in lead up to the Lok Sabha elections 2019 predict that the Bharatiya Janata Party (BJP) -led National Democratic Alliance (NDA) will come back to power, though some suggest they may fall short of the magic number of 272. Three days ahead of the Lok Sabha elections, a survey by Time Now- VMR shows that the NDA will come back to power with 279 seats. It projects 149 seats for the United Progressive Alliance (UPA) and 115 for other parties and candidates. A third poll by India TV-CNX pre-poll said Modi’s alliance would clear the halfway mark, winning 275 seats. 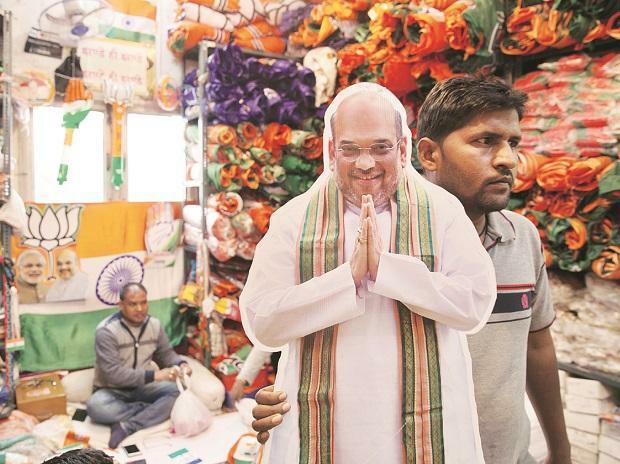 The poll projects that BJP's tally could go down by 52 seats to settle at a lower-than-halfway-mark 232 in the Lok Sabha in the upcoming polls. Congress might increase its tally from 44 to 97 -- falling short of the three-digit mark yet again -- the survey says. The fourth pre-poll survey conducted by Lokniti of the Centre for the Study of Developing Societies indicates that the BJP and the National Democratic Alliance a second term. The Survey shows that both the BJP and the Congress are likely to register a four percentage point increase in their vote share. But, in the case of the BJP, this rise, is not accompanied by a corresponding increase in its seat share. The SP-BSP combine in Uttar Pradesh is posing a stiff challenge to the BJP. If the current trends were to continue, the BJP is likely to lose a significant chunk of seats in this politically important state. While it may continue to do well in Rajasthan, Madhya Pradesh and even Chhattisgarh, it is unlikely to repeat its 2014 performance.